PDP has gone and will never return to power, says Lai Mohammed – Royal Times of Nigeria. 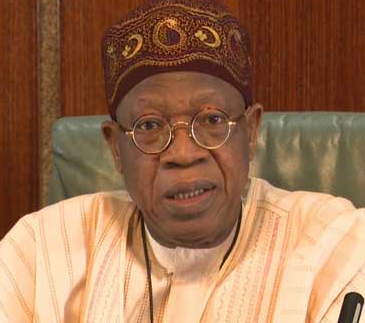 Minister of Information, Culture and Tourism, Lai Muhammad, said the Peoples Democratic Party PDP has gone forever and will never return to power at the Federal and most of the state government. Mohammed said this while speaking to newsmen in Dutse, Jigawa state yesterday. He said, “The opposition People Democratic Party (PDP) has gone forever and will never come back to rule Nigeria talk less of 2019. Nigerians have been convinced with the tremendous achievements recorded in the period of two years of APC administration under president Muhammad Buhari. Believe me, nobody will give his vote to PDP again”.